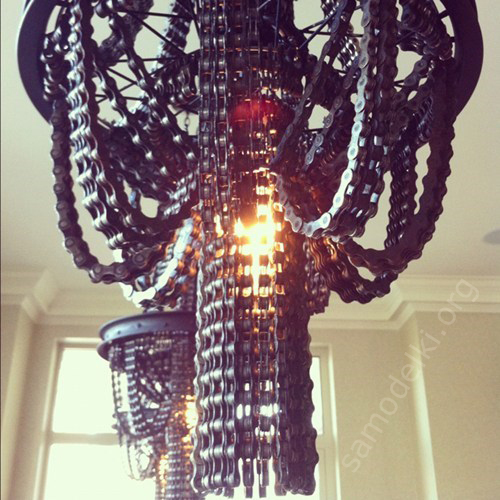 Unusual chandeliers made of motorcycle wheels and chains. Houses such, of course, do not put, but in some specialized room will look cool (in the same motocross shop). True, there are doubts that such chandeliers will be able to provide even a minimum acceptable level of illumination. And it will be quite difficult to mount such machines.